Firebird Estates is located in central Palm Springs, near shopping and restaurants. The community has 30 units ranging in size from 1+br/2ba measuring 1150 sq ft to a 2+br/2ba measuring 1450 sq ft. Each unit comes with an enclosed garage. 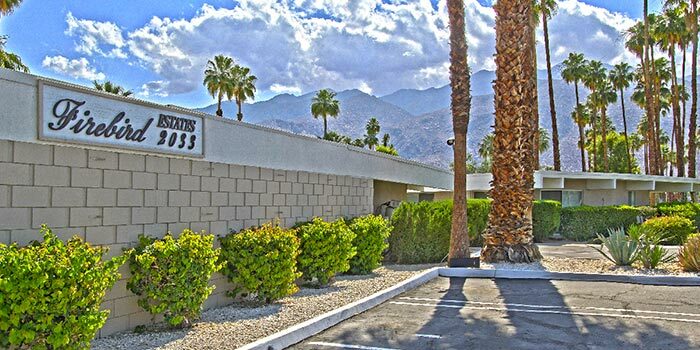 Built in 1964, Firebird Estates consist of 10 buildings with 3 units in each. There are approximately 6 acres of gardens, including a pool and outdoor jacuzzi, which are maintained daily by gardeners. The monthly HOAs are currently $455 per unit (as of 1/1/2015). The HOA enforces a 30 days minimum vacation rental period. View the sister complex, Villa Riviera. There are currently no available units at Firebird Estates. 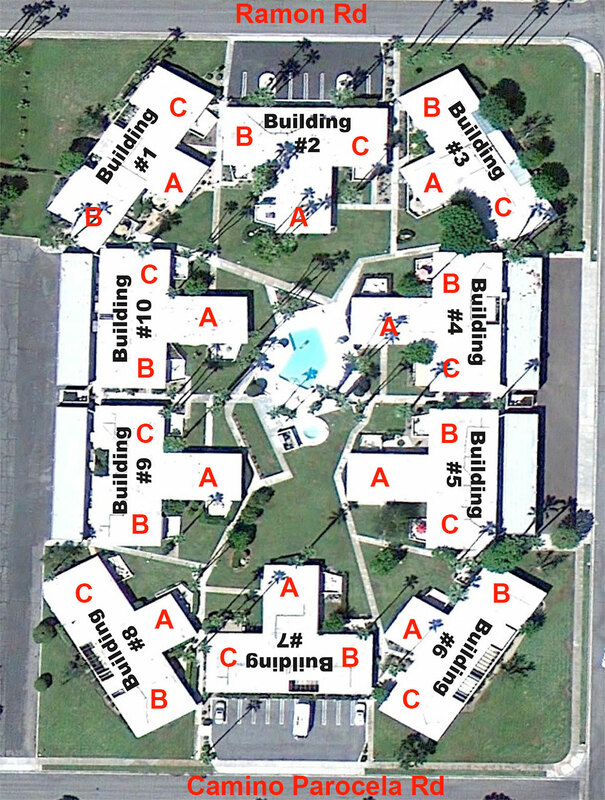 To be notified of new listings for this complex, simply fill out this form.